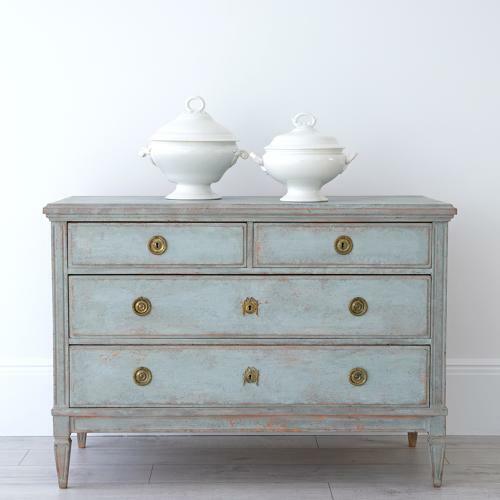 An outstanding early 19th century Gustavian chest with wonderful proportions and exquisite pale blue patina. Featuring vertically fluted corners, raised panel drawer fronts, elegant square tapered & fluted legs, and original hardware. An exceptional statement piece that would grace any room. Swedish circa 1830.